FICO announced the recent results of a survey it conducted on APAC banks. Unfortunately, the results of the survey were not encouraging to those in the financial and retail sector. Six out of ten respondents representing the participating banks said that the use of synthetic identities to apply for credit cards and commit other fraudulent acts were on the rise. Half of the banks also reported an increase by as much as 50% of card testing. Card testing is a process where criminals test the limits of a bank’s fraud rules to see what kind of purchases could be approved or result in the blocking of the card. What Can Merchants Do to Address Growing Fraud Threats? There’s no question that fraud is a major concern for merchants of all kinds. Card-not-present environments can make it even more difficult as there are fewer preventative measures to stop fraud before it hits on the transaction level. 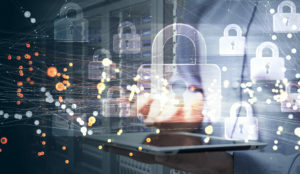 In order for merchants to mitigate this threat in card-not-present environments, they must choose technologies that anticipate what sophisticated hackers are doing and safeguard against their methods. This is why we decided that it was best to implement Kount into our international merchant services solutions platform. Kount is a security solution that offers real-time analytics to clients to ensure they have the best possible information to approve or decline a transaction. Kount has overseen millions of transactions and enabled merchants to prevent fraudulent transactions and improve their bottom line results. Kount helps clients differentiate between good transactions and bad transactions through its patented technologies. Using tools like geo-locating and device finger-printing, Kount can identify fraud in fractions of a second. With Kount as part of the First Atlantic Commerce payment gateway solution, clients can do more business all around the world with the confidence that they are using a best in class fraud mitigation solution. In addition to that, they can negate the task of performing costly manual reviews and protect their customers, which in turn will improve their sales and standing in the market. Our team at First Atlantic Commerce is proud to offer the best possible security solutions to prevent fraudulent activities. Fraudulent activity is on the rise for a number of reasons. Hackers continue to get more sophisticated with their methods, banks are unable to budget out the necessary research and technology to combat them, and more customers want to buy online, on the phone, and in other card-not present environments. Merchants looking for the best payment gateway solutions must consider security, which is why we are happy to have Kount as our all-in-one risk management and fraud prevention solution.